Together We Can Be More. Do More. Give More. We believe that every child should have the opportunity to succeed. 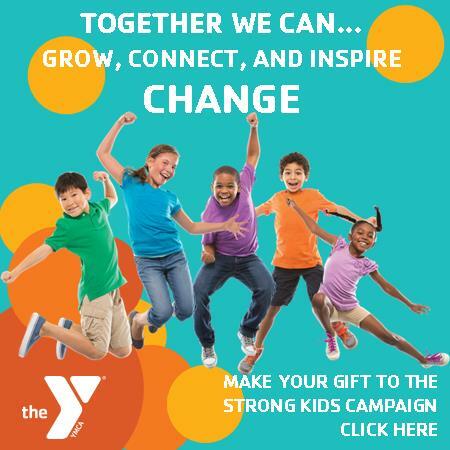 Funds raised through the Strong Kids Campaign at the Aberdeen Family YMCA allows the Y to provide scholarships for kids, families, and individuals to learn life skills through different programs such as swimming lessons, basketball, health and wellness, child care and more. Provides 5 days of meals for a child at the Youth Development Center. Gives the opportunity for a child to explore a new sport, like archery or volleyball. Provides a child 2 weeks of school age care. Allows 16 children to participate in a session of swim lessons. We can add your donation to your monthly bank draft. See Member Services to get this started.